A new name and complete rebrand for Atlanta based technology consultants. Before putting pencil to pad we completed a strategy review via Skype workshops and one-to-one interviews to produce a comprehensive brand positioning. The notion of connectivity is at the heart of the organisations work and the new name derives form the idea of six degrees of separation. 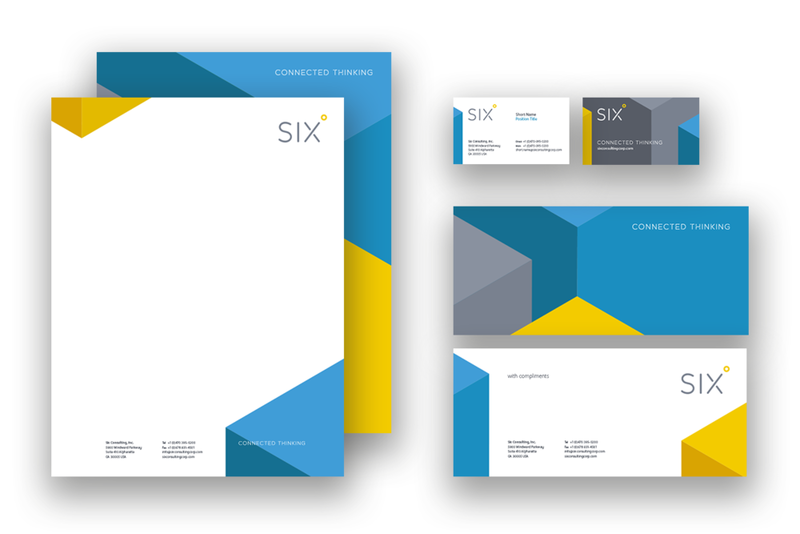 Six Consulting connect people, ideas and technology to make every working day a better one. The visual identity reflects the core value making the complex simple. With the brand positioning and visual identity set, we designed the online user experience via user-journey workshops and content planning with the client team. Front-end design guidelines helped the client's in house developers build the site. The brand toolkit includes guidance on positioning, copy writing, design and typography. It also features web development notes and an extensive image library.